Fight your enemies - anywhere, anytime, with anyone. When playing most games, what matters most is the accuracy of your moves, strikes, and hits. The PPK glasses have been created with the intention of finding absolute precision. Due to their medium size, the PPK glasses provide a universal fit. Make your opponents envious - with the PPK glasses, you will hit them faster and more accurately. The adjustable silicone nose pads ensure adaptation to any nose. The absence of hinges and the solid steel construction guarantee durability and toughness. The slightly curved temples provide the necessary support and keep the glasses firmly seated in place. Very slim temples evenly distribute headset pressure to allow you to conveniently wear your glasses and headphones simultaneously. Screws and welds are generally the places that can cause discomfort when wearing glasses for a longer period of time. The front construction of the PPK glasses is made of one piece, thus preventing potential discomfort. The removable temple tips create infinite possibilities to customise the appearance of your glasses to your taste. The I-AMP lens technology provides a huge competitive advantage for the Gunnar glasses over its competition. Years of research, along with collaboration with people who spend a lot of hours behind the computer, paved the way to creating these glasses. 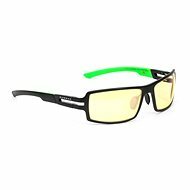 Investing in Gunnar Glasses means investing in your health. Do you spend a lot of time every day in front of a computer or TV screen? Can't take your eyes off your tablet or smartphone? Your eyes become very strained at such a load, making you susceptible to unpleasant side effects such as eye dryness, focusing problems, eye fatigue, piercing or stinging sensations when blinking, and often, headaches. All of these symptoms can lead to vision damage in the long run. 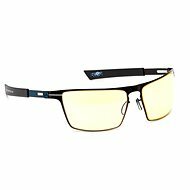 Gunnar glasses are not just ordinary. 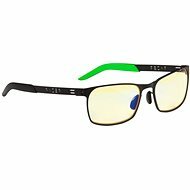 These are the first glasses that are primarily meant for users who spend hours upon hours in front of the computer screen. The Gunnar glasses enhance contrast, comfort, and focus on work while reducing eye fatigue. You will be able to work or play games in full while the effects of eye strain are heavily reduced. Gunnar glasses' lenses are more curved than regular glasses, making it more accurate to adjust to the shape of your head. This shape prevents excessive air circulation inside your glasses. Unlike conventional materials, Gunnar's glasses combine both - faithful color rendition and resistance to bumps and scratches. Thanks to optimal coloring and highly accurate optics, the DIAMIX eyepieces provide a crystal clear image. The artificial glow from monitors provides only a portion of the high-intensity spectrum instead of uniform, full-spectrum light that does not pose such a burden to the human eye. IONIK lens colouring filters and balances the received light spectrum and makes the resulting image warmer and more comfortable for the eyes. The Internet is full of an infinite amount of content. Some of this content shines, other blinks, and some has softer colours. All of these phenomena are collectively referred to as "visual noise", which is an unnecessary burden for your perception because you have to separate the perceived image from the disruptive sensations. Thanks to the two-sided anti-reflective i-Fi layer, you get rid of most of the unpleasant glare, helping your vision and preventing headaches. For normal lenses, mild fogging occurs over the course of the day and, for a longer period of time, it may cause scratches that reduce the quality of your glasses' optics. The i-Fi outer layer protects your lenses from damage thanks to their unique chemical coating and fogging, which keeps the quality of your glasses' optics throughout the day at the highest level. For shipping to other EU countries visit this page GUNNAR PPK. Für Versand nach Deutschland, besuchen Sie bitte GUNNAR Gaming Collection PPK, Glanz/Onyx. Chcete doručit zboží do Česka? Prohlédněte si GUNNAR Gaming Collection PPK, gloss/onyx. Chcete doručiť tovar na Slovensko? Prezrite si GUNNAR Gaming Collection PPK, gloss/ónyx. Für Versand nach Österreich, besuchen Sie bitte GUNNAR Gaming Collection PPK, Glanz/Onyx. Magyarországra történő kiszállításért tekintse meg ezt a termékoldalt: GUNNAR Gaming Collection PPK szemüveg, fényes/ónix.